Home » News Index » News » Monica returns to Moffats – again! Monica first came to Moffats in 1996 and has been almost every year since. 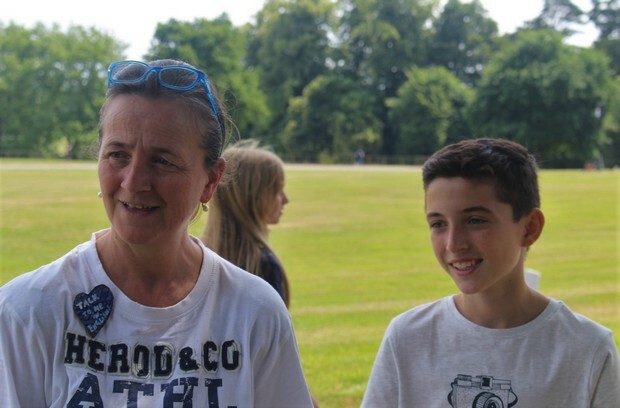 Fresh from a year’s teaching in Tuscany, she comes to help in any way she can, relishing the opportunity to venture outside the classroom to explore her own interests with our students, all in her impeccable English. 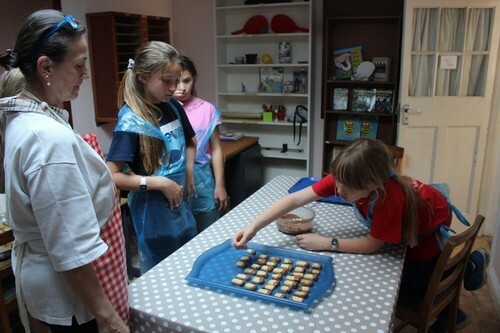 A particular favourite last summer was her Cookery Club, where they made delicious scones (with jam and cream, of course!) and biscuits for the evening snacks. One of Monica’s special contributions has been her book of comic English sketches, much enjoyed by players and audiences alike for many years, and it is such fun for them to be able to learn English through this very funny and very clever medium. 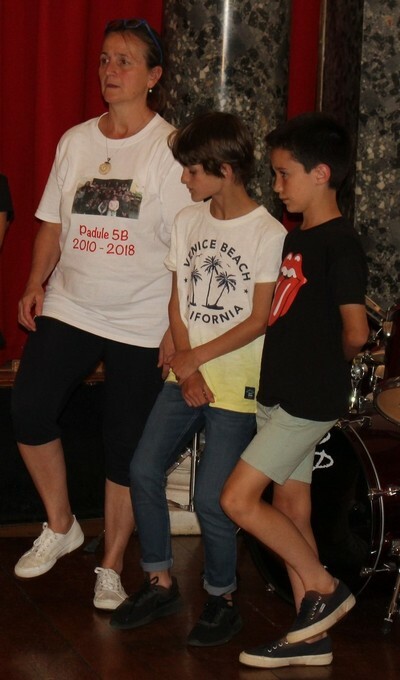 Monica is also a passionate musician and is pictured here helping some of the younger children to master their rhythms in a Friday evening performance. 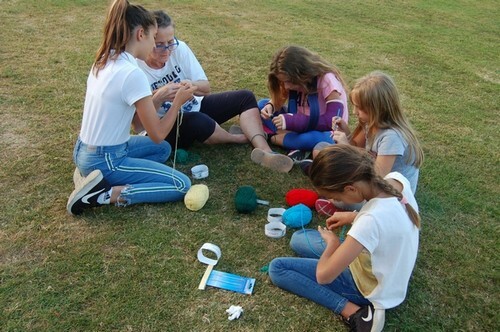 And in the evenings we do not have to look far to find her quietly doing something different with a group of children, such as a bit of crochet or tidying the borders in our lovely cobbled yard.